I write this essay with great care and some trepidation, lest readers believe it to be either specific medical advice to patients, or sedition by the minions who worship Big Pharma. 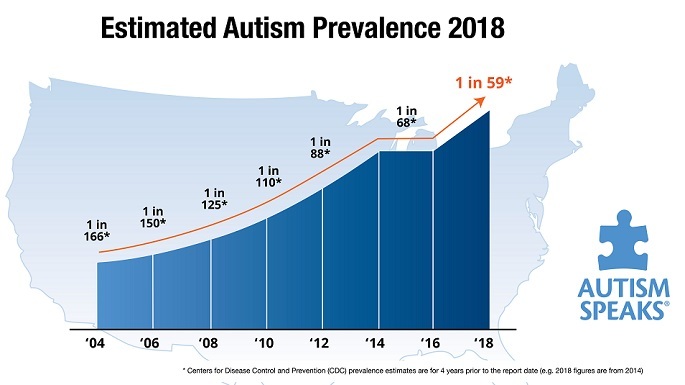 Any professional involved in this ASD epidemic can’t help but notice the number of parents who are certain that their beautiful child became harmed shortly after exposure to some vaccination. Traditional medicine remains convinced that any association with delayed childhood development is purely coincidental. The twentieth century ushered a truly successful attack on feared diseases that gripped previous generations. Most of the well-accepted literature apparently supports the vaccinations, the present schedule, and most importantly, the lack of association with childhood developmental delays such as ASD. Querying problems related to childhood vaccinations yields numbers as high as 18% “adverse events” in literature that supports the MMR. Further exploration about the presence of a febrile seizures (fevers are a frequent complication of vaccinations) as it relates to the risk of autism leads to more confusing information. How can pediatricians counsel that we know what we are talking about following the ‘Swine Flu’ Fiasco? I don’t have a TheAutismDoctorVaccineSchedule.com website. I believe that, in today’s toxic world, it is possible that some vaccines have led to, or triggered, behavioral diagnoses in susceptible fetuses and infants. In my skewed population, only 1/20 parents harbor that impression. Over 90% of our families either aren’t sure, or do not feel that it was the cause of their child’s (children’s) condition. Our approach is to evaluate the family and the individual child upon whom the traditional vaccine schedule is about to be foisted, and make decisions based on present health, risk of illness, and risk of interfering with recovery. What are the child’s red flags? How old is the child and when did symptoms begin? How severely affected is this patient? What are the present primary behaviors and is the child improving? What other conditions does the patient exhibit? Are there any affected siblings or cousins? Has the child had any recent illnesses, and were there any unusual reactions to previous ‘shots’? Little Johnny is 39 months old. He had loss of eye contact and disappearance of some late babbling in the month following a 15 month set of vaccinations including an MMR. Recently, he has been doing well in therapies, especially S&L, OT, and ABA. The child also happens to be followed by a holistic pediatrician, using a unique workup and simple medical interventions to address his autistic signs and symptoms – those same concerns that, last year, you dismissed. Anyway, lately, Little Johnny has woken up from the fog, started to exhibit an increased level of speech, is interested in toys and other children, and shows genuine signs of improvement for the first time in what seems like years (well, it is a lifetime). Should he get his booster shots now? Don’t try to argue with the professionals who would have you belittled, even by their staff, for being so ignorant as to question Medical Science. Just present this case (or explain your child’s particular issues) and ask god what he would do if this were his child. Better yet, ask god’s spouse. This entry was posted on Saturday, July 13th, 2013 at 7:06 am	and is filed under >ALL<, AD/HD, Alternative and Complementary Medicine for ASD, Autism Therapies, Earliest Red Flags, News-Maybe-Worthy, Patient experiences, Vaccines. You can follow any responses to this entry through the RSS 2.0 feed. You can leave a response, or trackback from your own site.